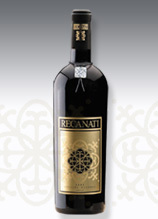 The Recanati Special Reserve wine has a unique blend of Mediterranean Herbs, berries, chocolate and black pepper aroma. It is a rich full bodied wine.The Special Reserve wine represents the best of the vintage. Since its establishment in 2000, Recanti Winery has become one of the best Israeli wineries, offering superb high quality wine at a reasonable price for consumers. In time, the wines from Recanti have graced tables and restaurants internationally. The Special Reserve wine represents the best of the vintage. The wine has distinct acidity and balance which in turn gives the wine long aging ability. The wine contains a special blend of Cabernet Sauvignon, Merlot, Carignan and Petit Sirah. After a hot 2010, the long and cold winter provided the perfect conditions for the wine.It is aged in oak barrels for 18 months. The wine is ready for drinking but it can also be left to age gracefully in the bottle for another decade.